One Eternal Day: "You cannot escape the past. Nor can you restore it." "You cannot escape the past. Nor can you restore it." 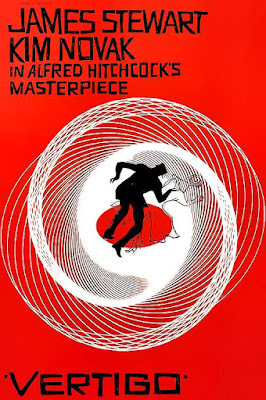 .... Like all gothic tales, Vertigo reminds us that modernity is defined by the sharp distinction between present and past. We insist that we live in a time of technology, progress, and enlightenment—opposed to an earlier age of bafflement, odium, and blood. Our fantasies about this dark past both attract and repulse us. We indulge visions of a chthonic world where desire and cruelty run wild (dungeon—inquisitor—ravished maiden), then retreat to a comfortable present, blind to its untheatrical evils. If there is ever occasion to suspect that our society is bigoted in its scientism, casual about the killing of innocents, or indifferent to the abuse of weak flesh, we can ward off the thought by recalling that no one wears capes or intones Latin phrases. As long as the forces of religion and reaction can be kept at bay, we are sure that all will be well.